It's been a good one as far as producing a lot of steam, but you do have to clean the (interior) water tank out periodically which is kind of a chore involving the sink, a small hose and the faucet to flush it out. Nonetheless, it's been a great iron for the past 7+ years. 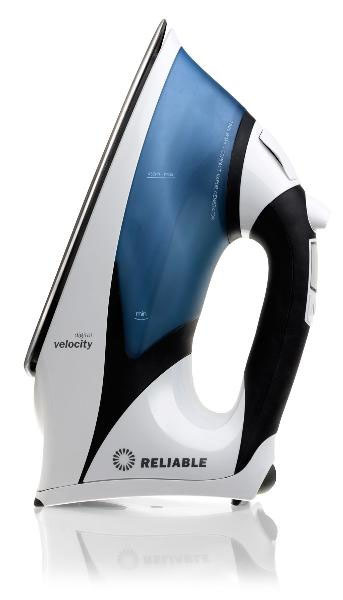 Like (almost) all irons, though, it became like an infant: it started to spit and leak! And at times, that leakage was brownish and could stain (and ruin) the fabric. NOT GOOD. And so began my search for a new one. And in my (re)searching, I learned a thing or two about irons and how that steam is produced (and why they spit and leak). It seems that the water is deposited onto the hot sole plate inside, which produces the steam. Also, why the iron has to be a certain high temp for the steam to be produced. And also how it can leak out. 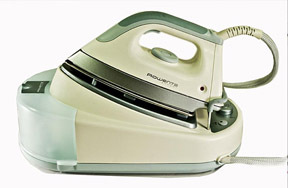 This iron heats the water before it comes down onto the plate, therefore no spitting/leaking and you can steam on much cooler temps, if you want. It has a lot of other bells and whistles (and a filter for the water! ); it isn't the top of their line, nor is it at the bottom (and I almost got the one below it). I couldn't be more pleased with this iron.